EXCLUSIVE!!! 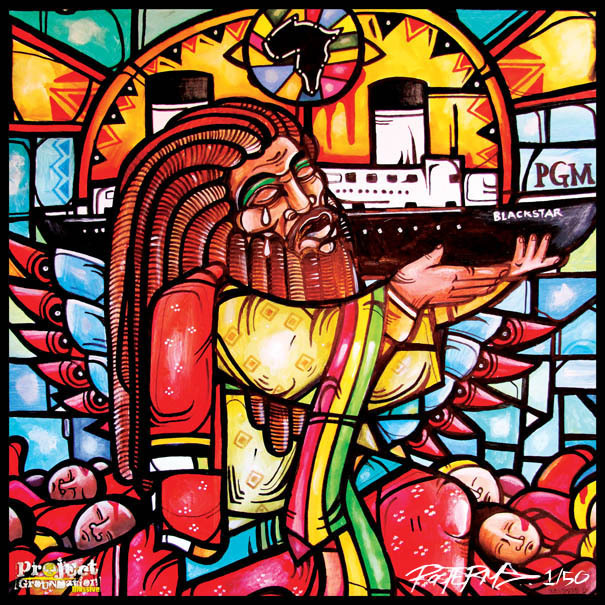 DJ Child of Project Groundation Massive (PGM) seamlessly delivers 5 cuts off of the new Ziggi Recado Album “Therapeutic” dropping on Zion High Productions. 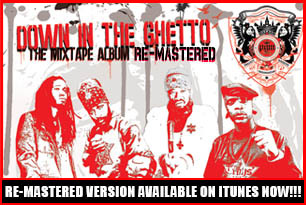 The album is produced entirely by Zion I Kings (Zion High x I Grade Records x Lustre Kings Productions). 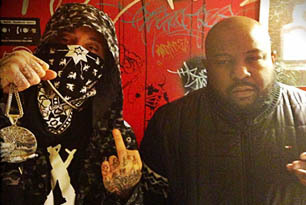 As the newest member to the Jacka’s AR (Artist Records) family—This is DJ Child’s 1st project with AR as a Producer/DJ. “Write My Wrongs” has features from Husalah, Freddie Gibbs, Jahdan Blakkamoore, Fed-X, Phil Da Agony & more…Production by Statik Selekta, DJ Child, RobLo, DJ Toure, Jeffro, Bedrock & more. 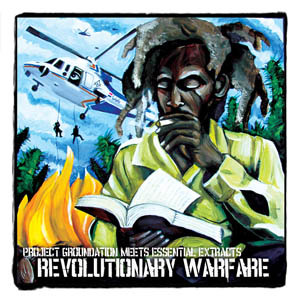 Project Groundation Massive (PGM) meets Essential Extracts (EE) to bring forth “Revolutionary Warfare” the mixtape. 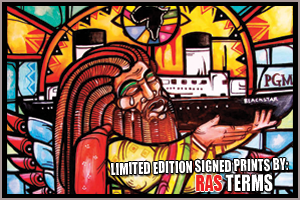 This classic roots reggae project is focused on the legalization of marijuana and the effects of the oppressive system. Project Groundation & Essential Extracts are like-minded grassroots movements working towards the same goal of raising the consciousness of the peoples through music, art & organic livity. 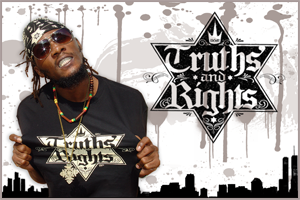 After creating the mixtape, DJ Child reached out to Nikka T (Owner of EE) who has been a long time PGM supporter to link the two companies in their joint mission. Essential Extracts’ mission is to provide quality, chemical-free cannabis concentrates to patients in need. Sunday August 4th, 2013 The New York Post did an article on DJ Kool Herc, celebrating 40 years of Hip-Hop. 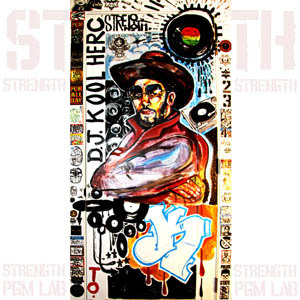 The NY Post contacted DJ Child requesting permission to use the “STRENGTH” mural located in PGM Lab, East Oakland, CA. The mural was done by PGM family members Ras Terms & Safety 1st of BDS. Child enlisted their talents to bring visual alchemy to “STRENGTH”, the livication project he created to help raise awareness & $$$ for Kool Herc’s medical funds. …….DJ Child Beats in Tony Hawk’s new series “SKATE”……. DJ Child grew up skateboarding…So when the opportunity presented itself to produce beats for “SKATE” one of the new shows on Tony Hawk’s RIDE channel it was honor & dream manifested. The show meets up with a pro skater who takes you through his city for a day (or night)—basically the day in the life of a skateboarder. So far there has been 4 episodes; NYC, Boston, Washington D.C., then NYC again. DJ Child has placed beats in every episode so far. The newest “SKATE” dropped yesterday and was NYC at night with Jahmal Williams. All of the music in the episode was DJ Child’s (except the 2nd track). This is the kind of show that takes you back to skateboarding’s roots—getting up with your homies, hittin’ the dope spots & having FUN!!! Selah Intl. & Project Groundation have united to bridge conscious fashion & cultural music for the peoples undiluted from industry politicks that run the game these days. This is more then just fashion & music—this is a movement!!! 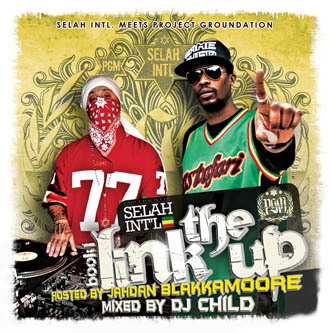 Marv Flores (Founder of Selah Int’l) & DJ Child (Founder of Project Groundation) have been long time bredren…so although this series is called “The Link Up” the roots stem much deeper then a surface level link…this is straight family vibes. 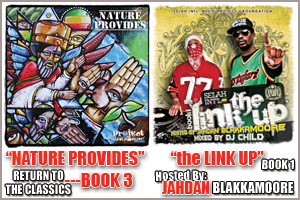 When the opportunity manifested between the two to collaborate efforts creatively in the form of a mixtape project—it was obvious for DJ Child to reach out to fellow PGM family member Jahdan Blakkamoore to handle hosting duties and set the bar high for a brand new series that’s not going anywhere!!! This is a movement for the peoples—Get used to it!!! PGM Women’s Clothing NOW IN STOCK!!! 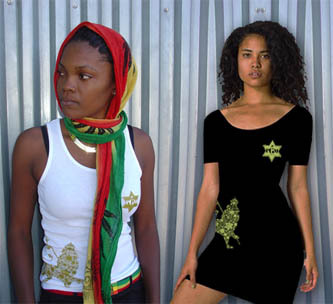 For the 1st time ever PGM women’s clothing is now available!!! (Sorry we took so long ladies…) All PGM clothing is hand pressed in limited runs—Both the dresses & Boy Beaters are printed on high quality American Apparel clothing. But get em’ quick—cuz once they gone it could be a while until more are pressed.